I use an app called Timehop to see a daily time capsule of everything I shared online on today’s date a year ago, two years ago, and as far back as it goes. It’s especially cool on birthdays and holidays, when I can see patterns from pictures of how I’ve celebrated and where I’ve traveled across the years. But so often my old content is cringeworthy — it’s me promoting a story or trying to be funny. I can hear myself trying in my old tweets, and it’s awkward. Caring about other people’s reactions is a natural part of sharing things. But social media so often turns people into strange, oversharing self-promoters. We end up living our offline lives thinking about capturing moments to share so we can get lots of likes. We fill our online permanent record with sometimes meaningless things. We try to not care about strange measures of self-worth, like how many people follow us, and whether that’s more than someone else. And, while I’m happy that I’m building a collection of life recordings that I can look back on later, I’d still prefer if I shared better stuff, that’s more accurate, more personal, more meaningful, so I could have a better accounting of my life. So, lately, I’ve been wondering, what would I record if I didn’t think about who was seeing it? What would motivate me to save the moments? What I’ve found is a group of seemingly very different new mobile applications that help people express themselves more authentically. Whether through nostalgia, automation, anonymity or ephemerality, they start to peel away from the social media performance. I think it’s quite possible that the next generation of sharing apps could bring a bit more authenticity than the last. 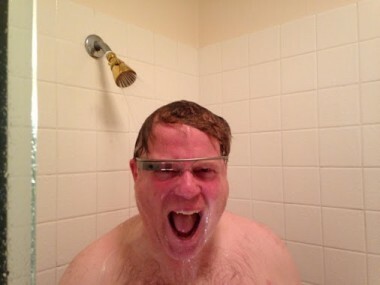 You probably don’t have what it takes to get as many followers as Robert Scoble. Put it another way: These are apps that professional oversharers like Robert Scoble can’t “win.” Because the way they are designed, there’s no way to win. “The whole idea of the Internet is we’re all interconnected, but one of the unintended consequences is people want to look good in front of each other,” says Michael Heyward, co-founder and CEO of Whisper, the new app for anonymously sharing secrets that venture capitalists have been competing to invest in. On Whisper, people share deep personal thoughts written in text over images, except they are completely anonymous. You can message the creator of any post, but there are no user profiles. And, if someone posts again, it’s under a totally different anonymous handle. There’s no such thing as a celebrity user or a Whisper star. “On any other social network, the number of people who see your content is proportional to how many people follow you,” Heyward said. On Whisper, that’s not the case. Whisper rewards those who dig deep for their submissions. Whisper now gets 2.5 billion page views per month. More than 40 percent of users create content, and the average daily user visits for 30 minutes. And the content doesn’t necessarily have a short shelf life; Whisper is working on building better tools to help people search and discover posts in its archives of tens of millions of posts. How real and authentic is Whisper? Real enough that the company feels obligated to take serious measures to ensure its users are safe. Whisper employs a team of 55 moderators in the Philippines and automatically flags posts that include proper nouns, as they might be a sign of bullying. It bans pornographic content, glorification of self-harm and gore. When a post comes through that seems like a cry for help from someone suffering from an eating disorder, mental illness or self-harm, it is removed from public view and watermarked with the words “Your Whisper has been heard” and the user is invited to talk to someone about their problems by calling Your Voice, a companion non-profit that the startup set up in its early days. Heyward contended that Whisper is part of a backlash to a Facebook-era world where everybody knows your name and the NSA is probably tracking you. It has that in common with Snapchat, Bitcoin and even Edward Snowden, he asserted. Coincidentally, both Whisper and Snapchat are Los Angeles-area startups — in fact, Heyward and Snapchat CEO Evan Spiegel even went to the same high school there, but not at the same time. It turns out they have a lot in common, even if their apps seem quite different. As Spiegel explains it, what makes Snapchat interesting is that his users are actually living their lives online, rather than existing offline and cherry-picking big moments and good angles to share online. 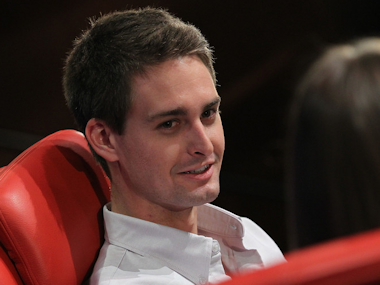 Asa Mathat / AllThingsD.com Snapchat CEO Evan Spiegel has probably sent thousands of selfies. So that’s why Snapchat users take more than 200 million photos and videos per day. Snapchat users often exchange “selfies” — photos of themselves — where they look silly or ugly, on purpose. They send quick images that show, rather than tell, where they are. Since the app opens to the camera and smartly guesses who you might want to send a picture to, I find it’s often faster to Snapchat someone than to text. But Snapchat doesn’t fit with my original premise of finding apps that aid sharing that keeps its value over time. Snapchat does exactly the opposite: erase media as soon as it’s been viewed. But there’s a value to that and it’s fine that it’s fleeting. 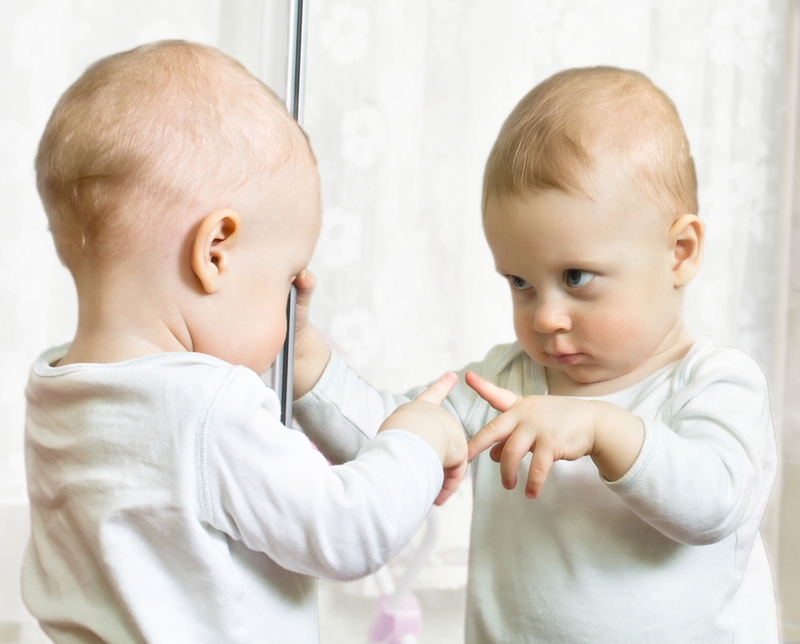 People seem to be more unpolished and authentic when they’re not thinking about how something will look on their permanent record. And, interestingly, Spiegel also said at our conference that he doesn’t think Snapchat will have only ephemeral content forever. Another way to get people to create content that’s more authentic is to do it for them. It sounds strange, but because your smartphone is in your pocket, your mobile apps might remember your day better than you do. 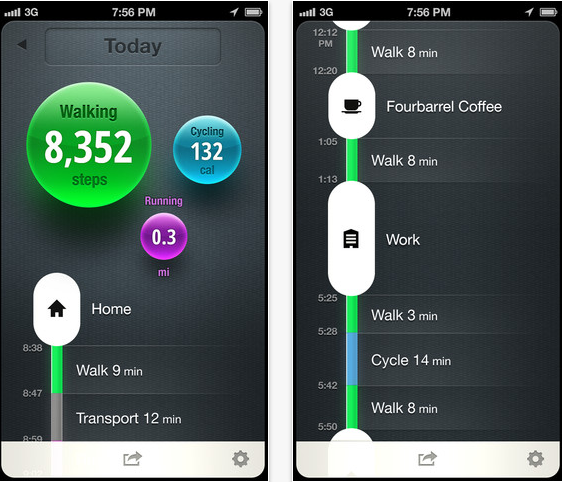 Some of these life-logging apps that I’ve tried recently are Moves, Saga and Heyday, all for Apple iPhone. Heyday isn’t available to the public yet, but it’s planned to be released this fall. The other two came out in the past year. The Moves app silently tracks how much you moved and where you went every day so you can stalk yourself. I’ve been surprised at how long I’ve stuck with Moves, given I first wrote about it in January. But just about every day since then, it has tracked how far I’ve walked, run, biked and drove, and compiled that into a neat timeline and map of my day. Every time I stop in one place for more than a few minutes, Moves matches my coordinates with the Foursquare API and makes a pretty good guess of where I’m located, and adds the location to my diary. I like that the app reminds me to be active — just like a FitBit or FuelBand or Jawbone Up, but without the hassle of wearing a bracelet — but even more than that, I appreciate the simple record of my day. I can imagine it will be useful to do things like add photos to Moves, and share my activity with a couple close family and friends, if and when those features are added, but I’m also fine with the app being 100 percent personal. I don’t have anything to prove to anyone but myself and I’m willing to put up with a bit of battery drain for that to happen without me ever thinking about it. By the way, Moves seems to be working with a wider audience, too — though its basic movement tracking functionality is being bundled into Google’s Android, which might be problematic for the startup’s chances. The people behind Moves tell me the app is now tracking two billion steps per day, which is twice as much as Jawbone Up’s last released number. A similar app that tries to do a bit more than Moves is Saga, which compiles users’ locations, travel times, and posts to social networks into one “Lifelog.” This week, Saga added the ability to share Lifelogs with others, but what I find more interesting is the infographics it automatically compiles about my habits, like “time spent at home each week,” “time spent in transit each week,” and “unique places visited each week,” as compared to myself and other Saga users. Tracking something so you can understand it in context is another good motivator. Plus, stories are more interesting than stats and isolated updates. Saga is definitely onto something there. Personally, I’d be much more eager to visit a site like Facebook if it told me stories about my friends’ lives by finding interesting trends and surfacing great content, rather than summarized what my People I Happen to Be Friends With Who Share All The Time had done in the past day. For instance, I’d love to see compilation albums of all my friends who had babies in the past year, or infographics about all my friends who happened to have traveled to Japan. Speaking of things that don’t really exist yet, a third app that could be interesting in this space is Heyday, built by the founders of a gaming company called Serious Business, which was acquired by Zynga in 2010. Heyday’s goal is to build a “more perfect memory,” and I’ve been playing with a test version. But it seems like it’s been hard to build something that’s not just an automated scrapbook, and Heyday’s launch date has been pushed back multiple times. And yet, saving every moment might be overkill. Maybe just a few choice moments would be better. There’s an app called “1 Second Everyday” that’s set up help people record a tiny short video clip that they can later stitch into the story of their month or year or life. It’s made by a guy named Cesar Kuriyama who did a TED Talk about recording daily slivers of his 30th year. “I never want to forget another day that I’ve ever lived,” he explained in the talk. Kuriyama said the process of recording short moments and editing them down, both the good and the bad, embedded them in his brain and let him live his unrecorded life more freely. Making a recording every day is a lot of work — and perhaps a lot of self-absorption — but with beautiful and personally meaningful results. Along with these other Snapchat, Whisper, Moves and these other apps, it points to an online future that could be less about bragging, and more about living and saving the moments.